Let us consider each of these groups and some examples of its patterns. reticulation, so named, because the shelf reminds fishnet. Their main difference is in the sizes and shapes of holes mesh. One of the most popular among experienced handy is the sirloin grid. Consider in more detail below following reticulate crocheted with circuits and their description. 1p. 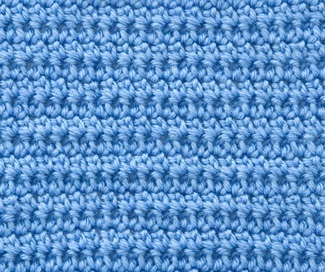 vyvyazyvayut 3 air hinges(pp), miss two loops, and in a third case 1 column, without sc(st b / n), thus knitting is repeated until the end of the row. 2p. 3 pp. 1 st b / n on the third loop of the arc, Next, perform the following report: 3 ce, 1 arc missing, 1 st b / n in the first loop of the next arc, 3 ce, 1 tbsp b / n on the third loop of the same arc. At the end of the row 3 pp. and 1 st b / n in the loop of the previous row lifting. Further repeated pattern in accordance with the second row of. 2. For samples that are 12 stitches. At the beginning of the odd rows 1 loop for recovery of a number of, and even 2 loop. 1p. 5 ce, 3 skipping loops, 1 Article. b /,3 pp,1 Article. b / n in the tighter the noose, the previous column, steps are repeated until the end of the series. 2r.5 pct, Then repeat: 1 Article. b / n on the third loop of the arc, 3 VP, 1 st. b / n in the same loop, 5 pp, 1 Article. b / n on the third loop of the arc, 3 VP, 1 st. b / n in the same loop. End of the series we collect 2 pp. and a loop of the previous row do lift 1 Article. p 3 /. 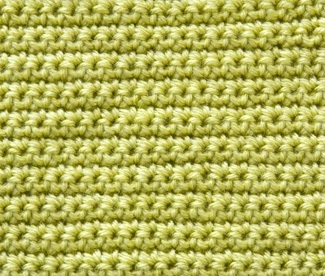 Until the end of knitting fabric is repeated the second number. Openwork patterns are a very gentle and graceful figures, sometimes like a beautiful gossamer, and they are usually carried out by thin threads and crochet. They can also be attributed, and lace patterns. 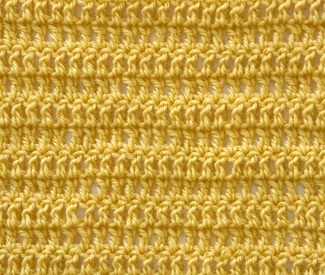 Openwork patterns made by a combination of braids and columns of stitches. Typically, using such patterns make light summer clothes, and various decorations for the house, such, eg, as tablecloths, blinds, napkins. 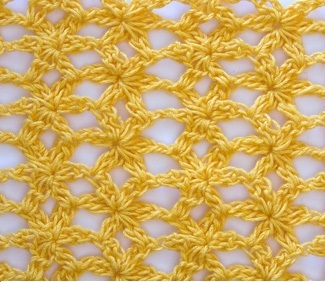 Openwork patterns, in turn, is also a huge amount of. For example, we give the following pattern and the description scheme. 1RV sixth loop chains do *1 Article. s / n(column with sc), 2 ce, 1 polustolbik into the same loop, 2 pp, 1 Article. s / n over a loop tighter, then do 2 pp. and four loop is knitted 1 Article. b /, leave not knit 4 * loop until the end of a number of the report from the * to * repeated at the end of provyazyvaem 1 Article. b / n and two loops in the final again 1 Article. b /. 2pp D.3, further report:1 Article. s / n in a column without nakida previous row, 2 pp, 1 polustolbik into the same loop, 2VP, 1 st. s / n in the back in the same loop. Then vyvyazyvayut new flower petals: for this: recruit 3 pp. and throws on the hook for a working thread, three loops pull from the web and get a new loop 3 loop. Provyazyvaem 2 the first loop, so that the hook remains two, and again perform sc, whereupon the hook is introduced into the eyelet end of lobe, associated in the previous row and pulled out a new loop. Then again provyazyvaem two loops, are on the hook and vyvyazyvayut 1 Article. s / n in the same loop of the previous row. Then in the same way the two are not made until the end of the column doayazannyh with nakida, but already in the loop the next petal tip in the bottom row. After all done on the hook procedure must remain 6 petelek, to be knit together. In the next step provyazyvaem 1 air loop and do the fourth petal. For this provyazyvaem has two air loops and in the middle of a new flower provyazyvaem 1 Article. s / n. repeat steps are repeated until the end of the series, and imprisoned in the last loop of the previous row lifting provyazyvaetsya 1 Article. 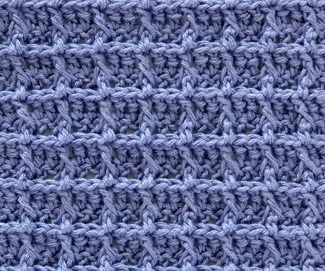 s / n.
All other rows are knitted according to the scheme of the second row. To recruit the sample 32 air hinges. 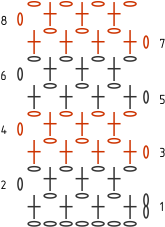 At the beginning of each even number of do 2 lifting loop, and odd 4. 2p. In the first column of the loop do with two sc, then vyvyazyvayut 5 stitches and get involved with two sc column in a column with one of the previous row sc, recruit 3 air loop and a column in the same column is knitted with two sc. Likewise knitting is repeated until the end of the row. 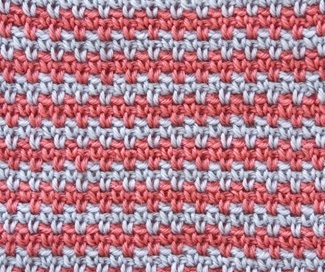 Next knit according to the scheme. Can engage in a loop with both columns one and 2,3-ring, and even a large number nakida. And the number of sc depends on the height of "shell" pattern. Provyazyvaemyh number of columns is better to take an odd, knitting to get a smooth and subsequently not deformed. The distance between the "shells" pattern is left for, that the product is not pulled, and the main elements could stay in a nice figure. At the beginning of knitwear pattern "shell" it is very important to correctly calculate the number of loops, so that the main elements in the product vyvyazalis in drawing in full. Elongated column is as follows:: introduce a hook into the loop of the previous row, grab a working thread and pull the loop, from which vyvyazyvayut 1 pp, whereupon provyazyvaem obtained two hooked loop. Jacquard or multi-color patterns are called patterns, are performed using several yarns of different colors. Such patterns can combine simple, thick, fishnet and mesh patterns, either be made in one of the following options. 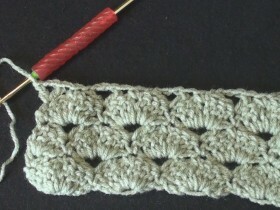 Jacquard crochet patterns a little harder, since it requires working with multiple threads, but some of them are lightly, that any beginner will master. Very easy to carry out, eg, the following pattern. It uses only two colors. Each color provyazyvaetsya two rows, performed according to the following scheme: 1 pp. recovery, sc without a column in the arch of the previous row, 1 pp. 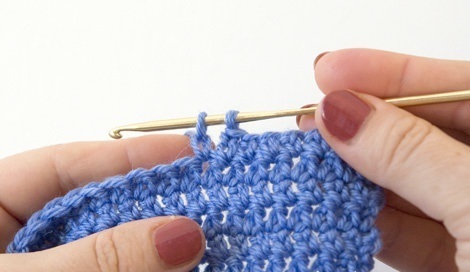 For beginners, we recommend to choose not too difficult in the performance patterns, to the process of knitting does not turn into hard labor, and gain experience, you can explore the rest of the open spaces of the fabulously exciting world crocheted crocheting.